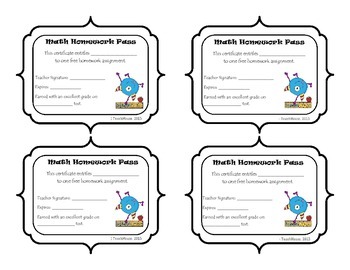 A quick, easy way to reward students for their achievements in different subjects. 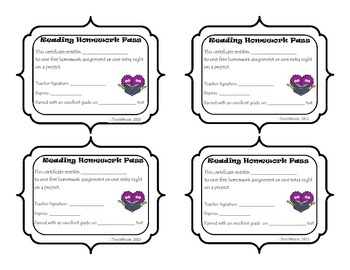 I feel that if a student is doing really well in a certain subject, they should be able to be excused from a homework assignment in that subject every now and then. That’s why I designed these to be subject specific. 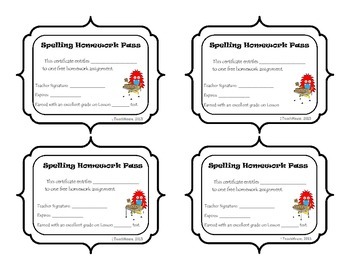 I was tired of writing the subject on the back of all the homework passes I had found to use before! I hope you like these!